There are few places in Denver growing as fast as the area around Sloan's Lake. It is one of the most affordable close neighborhoods to downtown Denver but be warned, it may not stay that way! The growing popularity of this area and its neighboring communities (Highlands and Jefferson Park) has been truly amazing to watch. 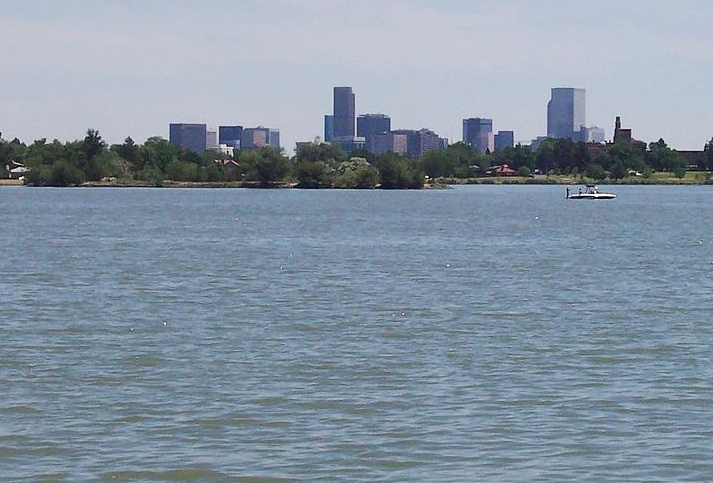 Also known as Sloan Lake, this wonderful area in northwest Denver has always been popular with water skiers, fisherman and nature lovers, and now has found its way into the hearts of more Denver residents. At its center is Sloan’s Lake Park. This 177 acre natural area offers hiking, biking, fishing, boating, and the opportunity to enjoy a large variety of birds, fish, and wildlife. For those who are looking for lofts and condos, but don’t necessarily want the urban metro feel, this is the place for you. See Sloan's Lake Condos for Sale Here! It is hard to find the exact details of how the lake was formed. In the late 1800’s a road which connected Denver to Golden ran where the lake now sits. It is know that in 1866 Thomas F. Sloan received the property to be used for farming and livestock. The story goes that while digging a well he accidentally tapped into an underground aquifer and found his property flooded the next morning. While it is difficult to discover the difference between legend and fact, we do know the lake has been altered many times and at one point was even home to an amusement park called Manhattan Beach. Whatever the origins of its birth, it is a wonderful part of the Denver metro. The Sloan's Lake neighborhood has seen many changes in the years as well. As expected, time has produced a pleasingly diverse array of housing types and people. You will find many different styles of housing from bungalows to modern architecture, making it a fantastic place to stroll and to meet the people who still maintain a smaller hometown feeling. Historically, it has been home to rich and poor alike, giving it an eclectic feeling with home sizes varying widely, without the division you find in some of the downtown areas. As the area becomes more popular the home and property values will undoubtedly rise making this one of the hottest areas in Denver. To some the thought of rapid development can be frightening, but the growth of the area is maintaining a steady, not frenzied rate, and revealing some wonderful architecture which adds to the area rather than diminishing its natural beauty. Several new developments are being planned including planned multi-family condominium units, business and shopping districts. One strong advantage of the area is an active community which closely watches plans for future developments. While this may sometimes slow down the process, it also ensures that residents will be able to enjoy the area for years to come. We have found that both urban dwellers and true suburbanites love the atmosphere in the Sloan's Lake area. The combination of proximity to the city and the natural environment is alluring to many. The community closeness adds to an already great package. In addition there is always something happening around lake. It’s even home to the annual Colorado Dragon Boat Festival, a wonderful Denver tradition which fills the lake with dragon boats and festivity. If you're ready to discover more about the loft and condo options in Sloan's Lake contact us below or call us at 303-991-9878. We would love to show you all the area has to offer.